As I reflect on the role of an adviser and one’s responsibilities to clients I ask myself the question ‘what is good advice?’. After all, we live in an uncertain world and nobody has the ability to tell the future, no matter how persuasive some people can be. Some might say good advice is independent advice. Others might say good advice is advice that made them money. There may be other clients who cite the importance of fees, competitively priced advice. For other clients advice is synonymous with recommendations; ‘tell me the answer’. So often, I’ve been asked for the silver bullet recommendation. It doesn’t exist. I think it is something more fundamental. At the heart of most advisory relationships is an asymmetry of knowledge, whereby the client is reliant on the adviser who is deemed to be an expert in his or her field. Still, given that an asymmetric relationship exists, how can the client really assess the quality of the information provided by the so-called expert? Therefore, for me, a crucial part of the role of an adviser or consultant is working towards closing this gap in the balance of knowledge. Rather than simply provide answers, of which there is no perfect answer, it is about first helping clients ask the right questions. This way, a client can truly ascertain the quality of advice or information provided. It also makes for a more equal relationship and over time a more fruitful relationship better equipped to respond to the randomness of financial markets. A more informed client has a deeper understanding of the reasoning behind a decision and the wider decision-making process and is less prone to making decisions on impulse or out of fear. Of course, the nature of financial services and other professional services is that many prefer to keep clients in the dark, perpetuating a client’s need for their advice but also removing the risk they may see through that advice. The overuse of jargon tends to be the most common way of feeding this illusion of superior knowledge. Adding levels of complexity only serves to make people more subservient to the system. Knowledge is power, so goes the proverb. Keeping knowledge in the hands of the few can be a way of maintaining control over the many. 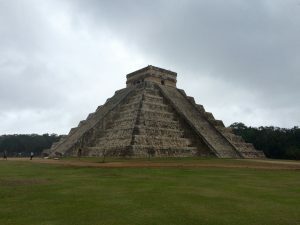 On my recent trip to Chichén Itzá, Mexico, I learned from a local Mayan tour guide all about the history of the Mayan temples. They were designed by the astronomers and the mathematicians of the time – based on knowledge of the solar system – to signal the time for planting and harvesting. This was invaluable information to the farmers and the working people looking to survive off the land. Rather than democratise the source of knowledge, it became the mode of control for the elites. The farmers were merely provided with the relevant dates for planting and harvesting, never allowed to learn the source of this knowledge. Amazingly, the cast system ran so deep the all-knowing elites went to some unusual ways to sustain the illusion of superiority. They changed the shape of their heads. The elites – governors, priests and the astronomers – would actually reshape the heads of their babies over the first three months of their lives. Every night a piece of equipment was used to apply pressure to the baby’s cranium, in turn changing the future development of the skull. 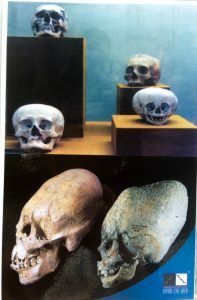 Governors had cone heads, priests had flat heads, and the astronomers had long heads. The working people believed these people were born this way. Along with their ability to tell the future seasons this was further confirmation of their divine status. In today’s world people rely on wealth and material things to add to an illusion of superiority. My key takeaway from the history lesson in Chichén Itzá was that the more knowledge one has the more power one holds over their own circumstances. Applying it to professional services, the role of any good adviser or consultant should not merely be about selling information and ideas; it should be one of education and development, a sharing of critical knowledge. Finally, some responsibility also lies with clients. I cannot neglect the fact that we live in a world where attention spans and time horizons keep getting shorter. People want to know the answer now rather than be educated on the fundamentals behind the answer, or the fallibility of the answer. Hence, salespeople selling the next great idea will always make money. Still, the only way the balance of knowledge becomes more equal is if clients demand it. Rather than simply looking for answers it is about being equipped to ask the right questions. This way, one has a much greater likelihood of achieving the right answers and most importantly, understanding why.